While the sky was still at its darkest, participants of the 2XU Compression full marathon had already geared themselves up for a fulfilling day ahead with the roads. 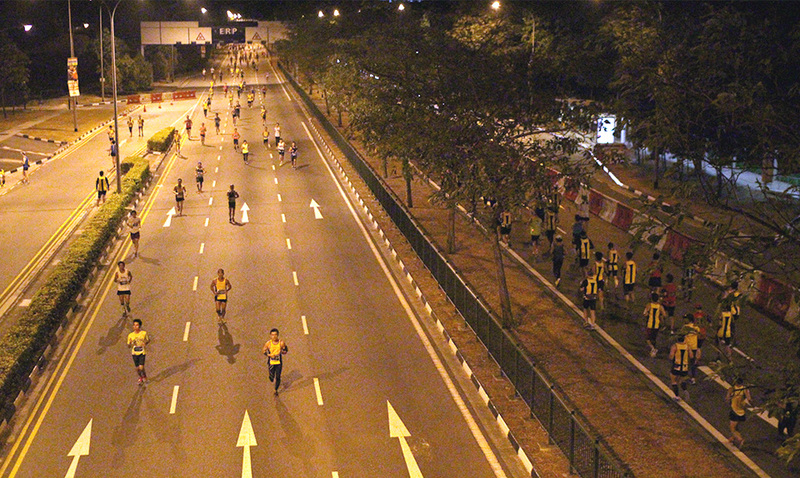 At 2.30 a.m. sharp, shuttle bus services were provided to ferry these eager runners to the starting point. The 25,000 participants were greeted by a huge row of numbered boards, which set up just a few metres behind the toilets for the baggage deposit point. The long row of portable toilets gave shorter queues prior to the race. With the enthusiastic volunteers at the collection booth, baggage was quickly deposited into safety while runners embarked their journey on the road. 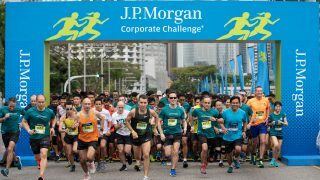 The air horn blew at exactly 4 a.m., and the first wave of runners sped through the starting point of the long 42.195 km run. Well-trained pacers carried different coloured balloons to represent the different pace times for goal-oriented runners to follow, as they dashed across Crawford Street to kick-start the marathon journey ahead. The hydration points were strategically placed at the points where runners would feel slightly dehydrated from the fluid loss. Adequate hydration was provided, and volunteers at the hydration points were more than willing to offer cups of hydration for the runners. However, much more enthusiasm and energy could be expected from the motivators at the side of the roads. Enthusiasm from motivators would help tired runners to pick up their pace again and keep up with the momentum. 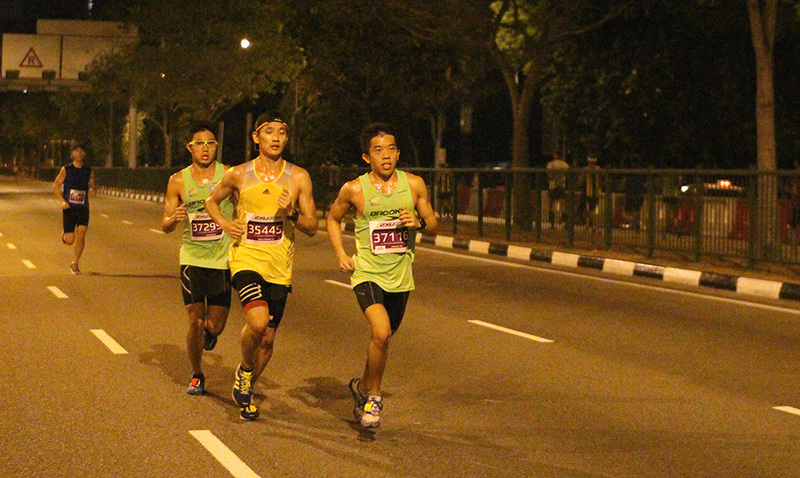 Running through the scenic East Coast Park, runners had the privilege to be in touch with the gentle sea breeze as they moved through the long park. 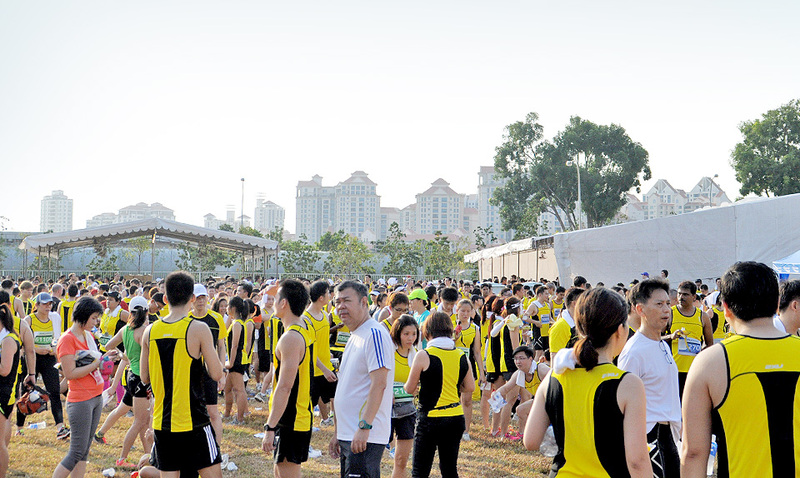 Muscle rub stations were available at East Coast Park to help runners loosen the tight muscles for a smoother journey ahead. 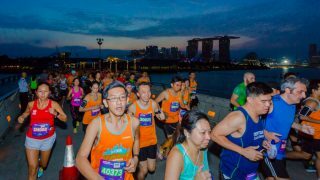 Turning up to where the Singapore Flyer was, runners grabbed and gulped down the last of their hydration beverages and dashed to the finish of the 42.195 km race. 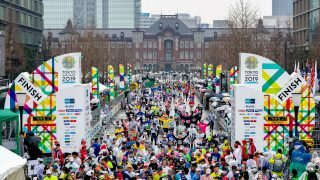 Cold towels soaked in ice-cold water were handed out to the finishers to freshen up their faces, also with a banana and a bottle of Pocari Sweat isotonic drink. There was a larger muscle rub booth awaiting the finishers at the finishing line, ready to ease the tension in the muscles accumulated throughout the running journey. 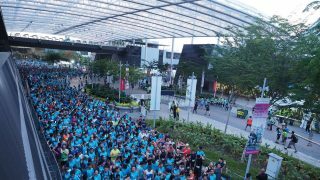 The 2XU Compression Run also raised a total of S$35000 for the Singapore Cancer Society (SCS), thanks to the race participants and organisers Pink Apple. In conjunction with their 50th anniversary, the SCS also launched their Pledge For Life campaign at the 2XU Compression run. 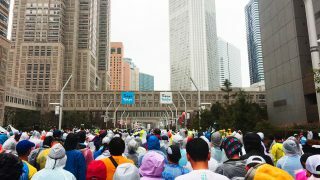 Runners were invited to pledge in various ways big and small in the fight against cancer, such as helping a friend to quit smoking. 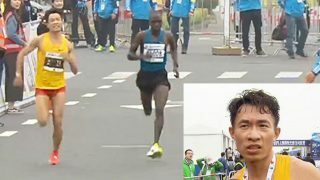 All in all, the race was perfectly organised. 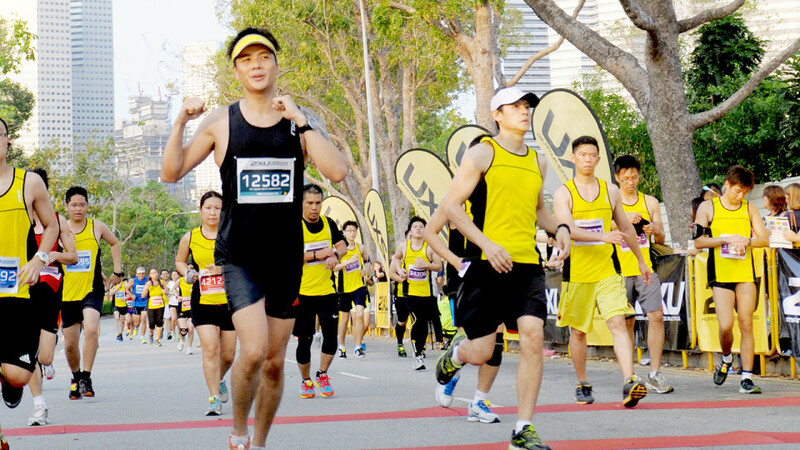 Topped with a great weather to run, the 2XU Compression Run 2014 was a huge success.